The founder of WikiLeaks, Julian Assange, released a statement on Election Day, following months of leaks mainly targeting the Democratic Party—mainly Hillary Clinton aide John Podesta. Assange said his anti-secrecy website has faced “enormous pressure” to stop publishing emails sourced from the Clinton campaign. Assange added that his website has not received any information on Donald Trump’s campaign, no information on Jill Stein’s campaign, or Gary Johnson’s campaign. “As a result of publishing Clinton’s cables and indexing her emails we are seen as domain experts on Clinton archives. So it is natural that Clinton sources come to us,” Assange said. Meanwhile, there has been a great deal of pressure from Clinton’s allies “including the Obama administration, and from liberals who are anxious about who will be elected US President,” he wrote in an open letter, explaining why WikiLeaks published the emails. Assange said Clinton’s campaign has used tactics similar to Sen. Joseph McCarthy decades ago. He wrote in the letter—reiterating previous rebuttals—that WikiLeaks has no ties to Russia. Clinton’s campaign has tried to link Assange with Russian hackers, while officials have refused to corroborate the authenticity of most of the leaked emails. On Tuesday, WikiLeaks published more emails taken from Podesta, the longtime aide to Hillary Clinton and former White House Chief of Staff under Bill Clinton. Assange is wanted for questioning in Sweden for allegations of sexual assault, which he has denied for years. 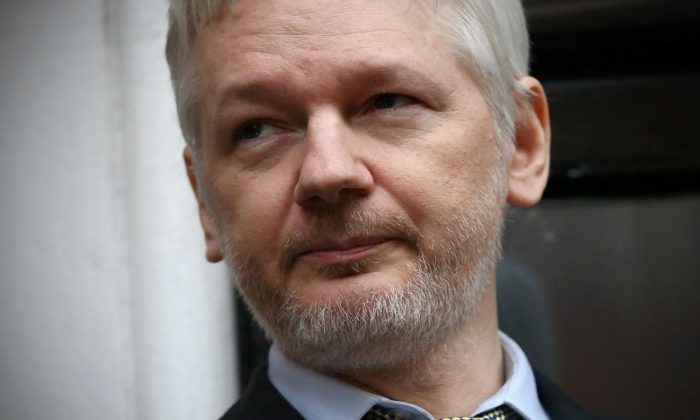 Assange is slated to be questioned in the Ecuadorean Embassy in London next week in the presence of Swedish officials.